After parallelisms have been identified, a final critical point that must be addressed is to distinguish specializations from the primitive condition for a group. The close resemblance between food procurement in Daubentonia and Dactylopsila does not imply that ancestral primates or phalangeroids were specialists on wood-boring larvae, because these are convergent specializations generated well after the origins of primates and phalangeroids. The many ecomorph parallelisms suggested by this literature review (Lepilemur and Petauroides, Phaner and Petaurus, Mirza and Gymnobelideus, Microcebus and Cercartetus, Daubentonia and Dactylopsila, Nycticebus and Phalanger) cannot all reflect similarities that were critical in the sequence of events leading to primate origins. If Cartmill (1972) erred in his visual predation hypothesis, it may have been because he relied too heavily on those cases of animals that showed specialized, extreme orbital convergence—such as lorises, owls, and cats—rather than on animals that have moderate convergence and are more likely to reflect the primitive primate condition (Crompton, 1995; Sussman, 1991, 1995). Among prosimians, the ones that behave like Cartmill predicted for an early primate are indeed those with the greatest orbital convergence: Tarsius and Loris are both nearly completely faunivorous and both rely partly (but not completely) on visually directed predation and prey capture with the hands (Crompton, 1995; MacKinnon and MacKinnon, 1980; Nekaris and Rasmussen, 2003; Niemitz, 1984). But these unusual specialists are unlikely to reflect critical events at the basal radiations of primates. Both Tarsius and Loris are not only specialized in their facial structure and diet, but also in their divergent postcranial adaptations relative to the primitive primate condition (Crompton, 1995). Figure 10. Cercartetus foraging among terminal angiosperm products, a possible good model of ancestral primate adaptations. Photograph is reproduced with the permission of the Environmental Protection Agency, Queensland; the copyright in the reproduced material belongs to the State of Queensland. perceive the three-dimensional depth below, thereby encountering problems perhaps similar to those faced by birds and fish (T. M. Preuss, personal communication). This interpretation of the chicken-and-egg problem now seems to be solidly supported by the paleontological data on Carpolestes (Bloch and Boyer, 2002). Marsupials such as Caluromys, Marmosa, Cercartetus, Gymnobelideus, Petaurus, and others, offer compelling similarities to primitive primates, and represent a virtually untapped resource for work on primate origins. Because the phalangeroids represent a diverse, complex radiation, they also offer a realistic view of how subtle divergences among closely related forms in an ecological context may relate to the origin of higher-level taxa. Aplin, K. P., and Archer, M., 1987, Recent advances in marsupial systematics with a new syncretic classification, in: Possums and (Opossums: Studies in Evolution, vol. I, M. Archer, ed., Surrey Beatty and Sons Pty Limited, Chipping Norton, Australia, pp. xv-lxxii. Archer, M., 1984, The Australian marsupial radiation, in: Vertebrate Zoogeography and Evolution in Australasia-Animals in Space and Time, M. Archer and G. Clayton, eds., Herperian Press, Carlisle, Australia, pp. 585-625. Atherton, R. G., and Haffenden, A. T., 1983, Long-tailed pygmy-possums, in: Complete Book of Australian Mammals, R. Strahan, ed., Angus and Robertson Publishers, Sydney, pp. 166-167. Atsalis, S., Schmid, J., and Kappeler, P., 1996, Metrical comparisons of three species of mouse lemur, J. Hum. Evol. 31: 61-68. Baverstock, P. R., 1984, The molecular relationships of Australasian possums and gliders, in: Possums and Gliders, A. Smith and I. Hume, eds., Surrey Beatty & Sons Pty Limited, Chipping Norton, Australia, pp. 1-8. Bloch, J. I., and Boyer, D. M., 2002, Grasping primate origins, Science298: 1606-1610. Calaby, J. H., 1983, Mountain pygmy-possum, Burramys parvus, in: The Australian Museum Complete Book of Australian Mammals, R. Strahan, ed., Angus and Robertson, Sidney, pp. 168-169. Cartmill, M., 1972, Arboreal adaptations and the origin of the order Primates, in: The Functional and Evolutionary Biology of Primates, R. Tuttle, ed., Aldine Atherton, Chicago, pp. 97-122. Cartmill, M., 1974b, Daubentonia, Dactylopsila, woodpeckers and klinorhynchy, in: Prosimian Biology, R. D. Martin, G. A. Doyle, and A. C. Walker, eds., Duckworth, London, pp. 655-670. Cartmill, M., 1990, Human uniqueness and theoretical content in paleoanthropology, Int. J. Primatol. 11: 173-192. Charles-Dominique, P., and Petter, J. J., 1980, Ecology and social life of Phaner furcifer, in: Nocturnal Malagasy Primates: Ecology, Physiology, and Behavior, P. CharlesDominique, H. M. Cooper, A. Hladik, C. M. Hladik, E. Pages, G. E. Pariente, A. Petter-Rousseaux, J. J. Petter, and A. Schilling, eds., Academic Press, New York, pp. 75-95. Collins, L., 1973, Monotremes and Marsupials, Smithsonian Institution Press, Washington, D.C., 323 p.
Crompton, R. H., 1995, Visual predation, habitat structure, and the ancestral primate niche, in: Creatures of the Dark: The Nocturnal Prosimians, L. Alterman, G. A. Doyle, and M. K. Izard, eds., Plenum Press, New York, pp. 11-30. Erickson, C. J., 1995, Perspectives on percussive foraging in the aye-aye (Daubentonia madagascariensis), in: Creatures of the Dark: The Nocturnal Prosimians, L. Alterman, G. A. Doyle, and M. K. Izard, eds., Plenum Press, New York, pp. 251-260. Gebo, D. L., Dagosto, M., Beard, K. C., and Tao, Qi, 2000, The smallest primates, J. Hum. Evol. 38: 585-594. Goldingay, R. L., 1992, Socioecology of the yellow-bellied glider Petaurus australis in a coastal forest, Aust. J. Zool. 40: 267-278. Goldingay, R. L., and Kavanagh, R. P., 1995, Foraging behavior and habitat use of the feathertail glider (Acrobatespygmaeus) at Waratah Creek, New South Wales, Wildlife Res. 22: 457-470. Green, R. H., 1983, Little pygmy-possum, in: Complete Book of Australian Mammals, R. Strahan, ed., Angus and Robertson Publishers, Sydney, pp. 164-165. Henry, S. R., 1984, Social organization of the greater glider (Petauroides volans) in Victoria, in: Possums and Gliders, A. Smith and I. Hume, eds., Surrey Beatty & Sons Pty Limited, Chipping Norton, Australia, pp. 221-228. Henry, S. R., and Suckling, G. C., 1984, A review of the ecology of the sugar glider, in: Possums and Gliders, A. Smith and I. Hume, eds., Surrey Beatty & Sons Pty Limited, Chipping Norton, Australia, pp. 355-358. Hladik, C. M., Charles-Dominique, P., and Petter, J. J., 1980, Feeding strategies of five nocturnal prosimians in the dry forest of the west coast of Madagascar, in: Nocturnal Malagasy Primates: Ecology, Physiology, and Behavior, P. CharlesDominique, H. M. Cooper, A. Hladik, C. M. Hladik, E. Pages, G. F. Pariente, A. Petter-Rousseaux, and A. Schilling, eds., Academic Press, New York, pp. 41-73. Hume, I. D., Runcie, M. J., and Caton, J. M., 1997, Digestive physiology of the ground cuscus (Phalangergymnotis), a New Guinean phalangerid marsupial, Aust. J. Zool. 45: 561-571. Humphreys, W. F., How, R. A., Bradley, A. J., Kemper, C. M., and Kitchener, D. J., 1984, The biology of Wyulda squamicaudata, Alexander 1919, in: Possums and Gliders, A. Smith and I. Hume, eds., Surrey Beatty & Sons Pty Limited, Chipping Norton, Australia, pp. 162-169. Johnson-Murray, J. L., 1987, The comparative myology of the gliding membranes of Acrobates, Petauroides, and Petaurus contrasted with the cutaneous myology of Hemibelideus and Pseudocheirus (Marsupialia: Phalangeridae) and with selected gliding Rodentia (Sciuridae and Anomaluridae), Aust. J. Zool. 35: 101-113. Jones, C. J., and Geiser, F., 1992, Prolonged and daily torpor in the feathertail glider, Acrobates pymaeus (Marsupialia: Acrobatidae), J. Zool., London, 227: 101-108. Kerle, J. A., 1984, Variation in the ecology of Trichosurus: Its adaptive significance, in: Possums and Gliders, A. Smith and I. Hume, eds., Surrey Beatty & Sons Pty Limited, Chipping Norton, Australia, pp. 115-128. Koenigswald, W. von, 1987, The ecological niche of early Tertiary apatemyids—An extinct group of mammals, Nature 326: 595-597. Larson, S. G., Schmitt, D., Lemelin, P., and Hamrick, M., 2000, Uniqueness of primate forelimb posture during quadrupedal locomotion, Am. J. Phys. Anthropol. 112: 87-101. Lee, A. K., and Cockburn, A., 1985, Evolutionary Ecology of Marsupials, Cambridge University Press, Cambridge, 274 pp. 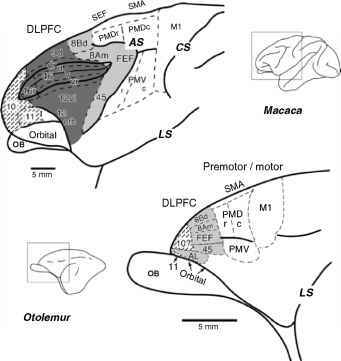 Lemelin, P., 1996, The Evolution of Manual Prehensility in Primates: A Comparative and Functional Analysis in Prosimian Primates and Didelphid Marsupials, Ph.D. Dissertation, State University of New York, Stony Brook. Lemelin, P., 1999, Morphological correlates of substrate use in didelphid marsupials: Implications for primate origins, J. Zool. Lond. 247: 165-175. Lindenmayer, D. B., 1997, Differences in the biology and ecology of arboreal marsupials in forests of southeastern Australia, J. Mammal. 78: 1117-1127. MacKinnon, J., and MacKinnon, K., 1980, The behavior of wild spectral tarsiers, Int. J. Primatol. 1: 361-379. Martin, R. D., 1986, Are fruit bats primates? Nature 320: 482-483. Martin, R. D., 1990, Primate Origins and Evolution: A Phylogenetic Reconstruction, Princeton University Press. Muncie, M. J., 1999, Movement, dens and feeding behaviour of the tropical scaly-tailed possum (Wyulda squamicaudata), Wildlife Res. 26: 367-373. Nekaris, K. A. I., and Rasmussen, D. T., 2003, Diet and feeding behavior of Mysore slender lorises, Int. J. Primatol. 24: 33-46. Nelson, J. E., and Kerle, J. A., 1983, Rock ringtail possum, in: Complete Book of Australian Mammals, R. Strahan, ed., Angus and Robertson Publishers, Sydney, p. 132. Nelson, J. E., and Stephan, H., 1982, Encephalisation in Australian marsupials, in: Carnivorous Marsupials, M. Archer, ed., Royal Society of New South Wales, Sydney, pp. 699-706. Niemitz, C., 1984, Synecological relationships and feeding behaviour of the genus Tarsius, in: The Biology of Tarsiers, C. Niemitz, ed., Gustav Fischer Verlag, New York, pp. 59-76. Nowak, R. M., and Paradiso, J. L., 1983, Walker's Mammals of the World, vol. 1, The Johns Hopkins University Press, Baltimore, 568 p.
Overdorff, D. J., 1992, Diffferential patterns in flower feeding by Eulemur fulvus rufus and Eulemur rubriventer in Madagascar, Am. J. Primatol. 28: 191-203. Pages, E., 1980, Ethoecology of Microcebus coquereli during the dry season, in: Nocturnal Malagasy Primates: Ecology, Physiology, and Behavior, P. Charles -Dominique, H. M. Cooper, A. Hladik, C. M. Hladik, E. Pages, G. F. Pariente, A. Petter-Rousseaux, and A. Schilling, eds., Academic Press, New York, pp. 97-116. Popper, K. R., 1957, The Poverty of Historicism, Routledge and Kegan Paul, London. Proctor-Gray, E., 1984, Dietary ecology of the coppery brushtail possum, green ringtail possum and Lumholtz's tree-kangaroo in North Queensland, in: Possums and Gliders, A. Smith and I. Hume, eds., Surrey Beatty & Sons Pty Limited, Chipping Norton, Australia, pp. 129-136. Rand, A. S., 1937, Some original observations on the habits of Dactylopsila trivirgata Gray, Am. Mus. Novit. 957: 1-7. Rasmussen, D. T., 2001, Primate origins, in: The Primate Fossil Record, W. C. Hartwig, ed., Cambridge University Press, London, pp. 5-10. Renfree, M. B., Russell, E. M., and Wooller, R. D., 1984, Reproduction and life history of the honey possum, Tarsipes rostratus, in: Possums and Gliders, A. Smith and I. Hume, eds., Surrey Beatty & Sons Pty Limited, Chipping Norton, Australia, pp. 359-373. Righetti, J., 1996, A comparison of the behavioural mechanisms of competition in shrews (Soricidae) and small dasyurid marsupials (Dasyuridae), in: Comparison of Marsupial and Placental Behavior, D. B. Croft, ed., Filander Verlag, Fürth. Ride, W. D. L., 1964, A review of Australian fossil marsupials, J. R. Soc. Wes. Aus. 47: 97-131. Ride, W. D. L., 1970, A Guide to the Native Mammals of Australia, Oxford University Press, Melbourne. Rose, K. D., 1975, The Carpolestidae: Early Tertiary primates from North America, Bull. Museum Comp. Zool. 147: 1-74. Russell, R., 1983, Feathertail glider, in: Complete Book of Australian Mammals, R. Strahan, ed., Angus and Robertson Publishers, Sydney, pp. 170-171. Sargis, E. J., 2002, Primate origins nailed, Science 298: 1564-1565. Simons, E. L., and Rasmussen, D. T., 1995, A whole new world of ancestors: Eocene anthropoideans from Africa, Evol. Anthropol. 3: 128-139. Simons, E. L., and Rasmussen, D. T., 1996, The skull of Catopithecus browni, an early Tertiary catarrhine, Am. J. Phys. Anthropol. 100: 261-292. Simpson, G. G., 1933, The "plagiaulacoid" type of mammalian dentition, J. Mammal. 14: 97-107. Smith, A. P., 1982a, Diet and feeding strategies of the marsupial sugar glider in temperate Australia, J. Animal Ecol. 51: 149-166. Smith, A. P., 1982b, Is the striped possum an arboreal anteater? Australian Mammalogy 5: 229-235. Smith, A. P., 1984a, Ringtails, pygmy possums, gliders, in: The Encyclopedia of Mammals, D. D. MacDonald, ed., Equinox Ltd., Oxford, England, pp. 856-861. Smith, A. P., 1984b, The species of living possums and gliders, in: Possums and Gliders, A. Smith and I. Hume, eds., Surrey Beatty & Sons Pty Limited, Chipping Norton, Australia, pp. xiii-xv. Smith, A. P., 1984c, Demographic consequences of reproduction, dispersal and social interaction in a population of Leadbeater's possum (Gymnobelideus leadbeateri), in: Possums and Gliders, A. Smith and I. Hume, eds., Surrey Beatty & Sons Pty Limited, Chipping Norton, Australia, pp. 359-373. Smith, A. P., 1984d, Diet of Leadbeater's possum, Aust. Wildlife Res. 11: 265-273. Smith, A. P., and Ganzhorn, J. U., 1996, Convergence in community structure and dietary adaptation in Australian possums and gliders and Malagasy lemurs, Aust. J.Ecol. 21: 31-46. Statham, H. L., 1984, The diet of Trichosurus vulpecula (Kerr) in four Tasmanian forest locations, in: Possums and Gliders, A. Smith and I. Hume, eds., Surrey Beatty & Sons Pty Limited, Chipping Norton, Australia, pp. 213-219. Steiner, K. E., 1981, Nectarivory and potential pollination by a Neotropical marsupial, Ann. Mo. Bot. Gard. 68: 505-513. Sussman, R. W., 1995, How primates invented the rainforest and vice versa, in: Creatures of the Dark: The NocturnalProsimians, L. Alterman, G. A. Doyle, and M. K. Izard, eds., Plenum Press, New York, pp. 1-10. Sussman, R. W., 1999, Primate Ecology and Social Structure, vol. 1: Lorises, Lemurs and Tarsiers, Pearson Custom Publishing, Needham Heights, MA, 284 p.
Szalay, F. S., 1993, Metatherian taxon phylogeny: Evidence and interpretation from the cranioskeletal system, in: Mammal Phylogeny: Mesozoic Differentiation, Multituberculates, Monotremes, Early Therians, and Marsupials, F. S. Szalay, M. J. Novacek, and M. C. McKenna, eds., Springer-Verlag, New York, pp. 216-242. Szalay, F. S., 1994, Evolutionary History of the Marsupials and an Analysis of Osteological Characters, Cambridge University Press, Cambridge, England, 481 pp. Thompson, J. A., and Owen, W. H., 1964, A field study of the Australian ringtail possum Pseudocheirus peregrinus (Marsupialia: Phalangeridae), Ecol. Monogr. 34: 27-52. Turner, V. B., 1984, Banksia pollen as a source of protein in the diet of two Australian marsupials, Cercarcetus nanus and Tarsipes rostratus, Oikos 43: 53-61. 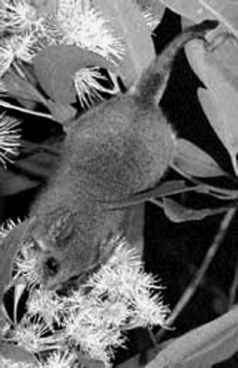 Ward, S. J., 1990, Life history of the feathertail glider, Acrobates pygmaeus (Acrobatidae: Marsupialia) in south-eastern Australia, Aust. J. Zool. 38: 503-17. Ward, S. J., 1992, Life history of the little pygmy-possum, Cercartetus lepidus, in the Big Desert, Victoria, Aust. J. Zool. 40: 43-55. Wiens, D., Renfree, M., and Wooller, R. O., 1979, Pollen loads of honey possums (Tarsipes spencerae) and nonflying mammal pollination in southwestern Australia, Ann. Mo. Bot. Gard. 66: 830-838. Winter, J. W., 1983, Lemuroid ringtail possum, in: Complete Book of Australian Mammals, R. Strahan, ed., Angus and Robertson Publishers, Sydney, p. 133. Winter, J. W., 1996, Australian possums and Madagascan lemurs: Behavioural comparison of ecological equivalents, in: Comparison of Marsupial and Placental Behavior, D. B. Croft, ed., Filander Verlag, Fürth. Winter, J. W., and Atherton, R. G., 1984, Social group size in North Queensland ringtail possums of the genera Pseudocheirus and Hemibelideus, in: Possums and Gliders, A. Smith and I. Hume, eds., Surrey Beatty & Sons Pty Limited, Chipping Norton, Australia, pp. 311-319. Wooller, R. D., Russell, E. M., and Renfree, M. B., 1984, Honey possums and their food plants, in: Possums and Gliders, A. Smith and I. Hume, eds., Surrey Beatty & Sons Pty Limited, Chipping Norton, Australia, pp. 439-443. Wright, P. C., and Martin, L. B., 1995, Predation, pollination and torpor in two nocturnal prosimians: Cheirogaleus major and Microcebus rufus in the rain forest of Madagascar, in: Creatures of the Dark: The Nocturnal Prosimians, L. Alterman, G. A. Doyle, and M. K. Izard, eds., Plenum Press, New York, pp. 45-60.